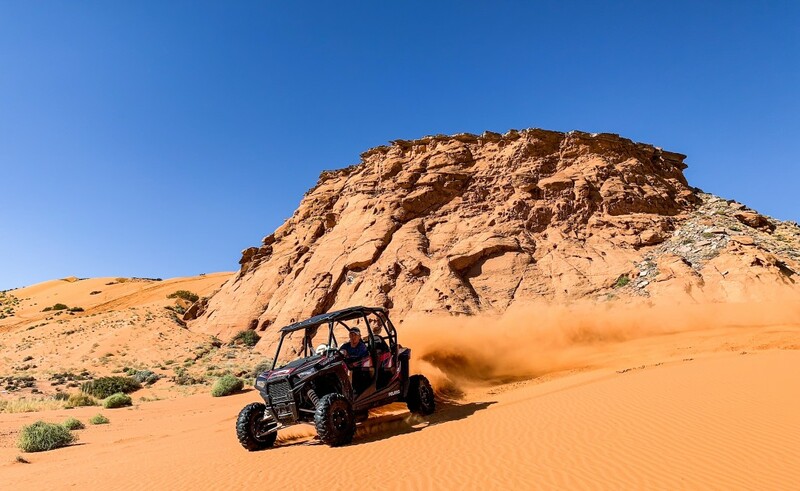 Each of us has our own background with off road equipment, whether it was growing up with dirt bikes and quads, to off roading in the family Jeep or truck. Our passion for the outdoors makes us an amazing team to ensure you, your family, even your pet have an adventure you remember for years. Born in Salt Lake City, Utah, Chad is the director of SUAC. Him and his business partner started Moab Tour Company in 2003 quickly earning a reputation for amazing tours and great customer service, a few years later they expanded to Hurricane and opened Southern Utah Adventure Center in 2010, and again with great tours and dedication to customer satisfaction quickly grew to the biggest off road rental and tour company in the area. 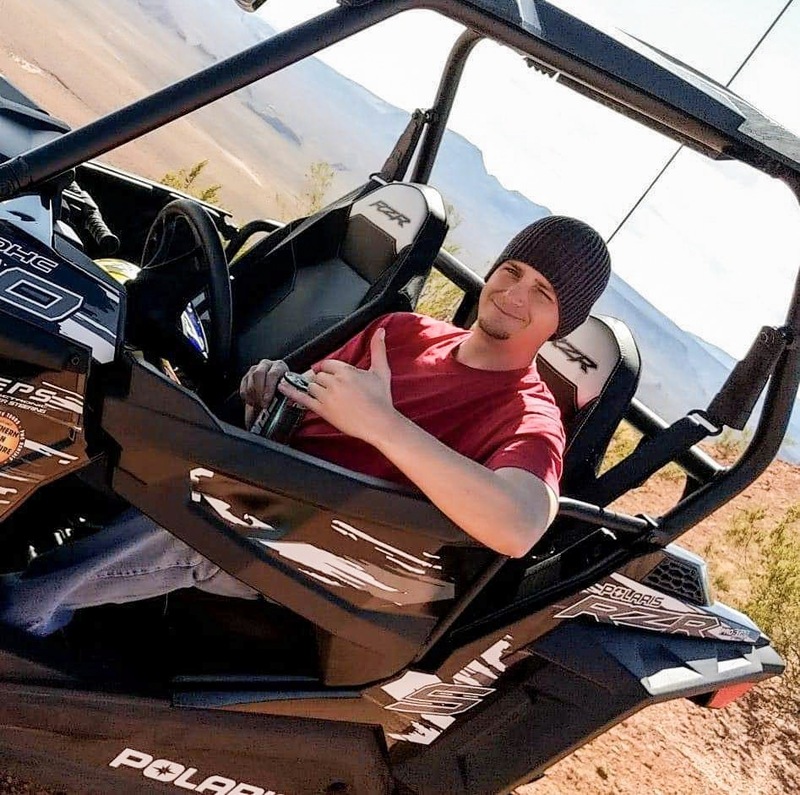 Chad is an outdoors fanatic, always exploring new trails, scoping out the best rock crawling section or playing on Lake Powell, he does it all. He has two kids who are already learning the ins and outs of the outdoor lifestyle. 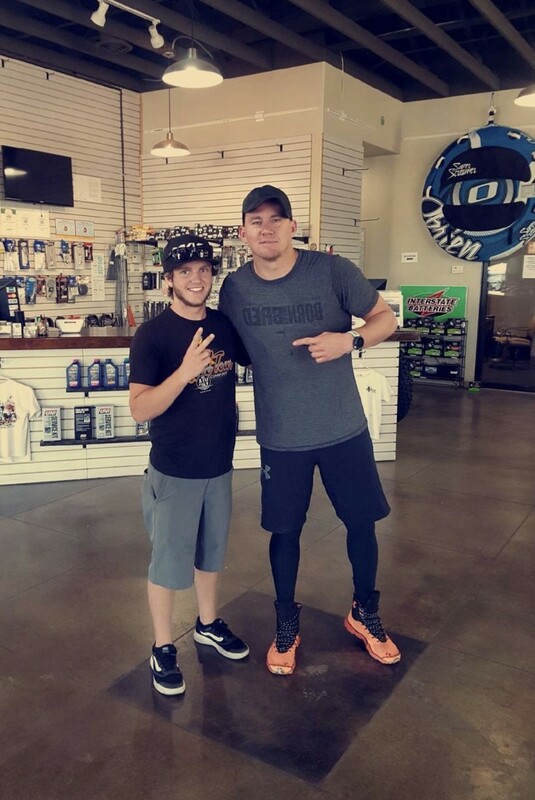 Whether it’s off-roading, dirt biking, boating, or fixing things Chad is always staying busy perfecting his craft and growing the business to be the best it can be. 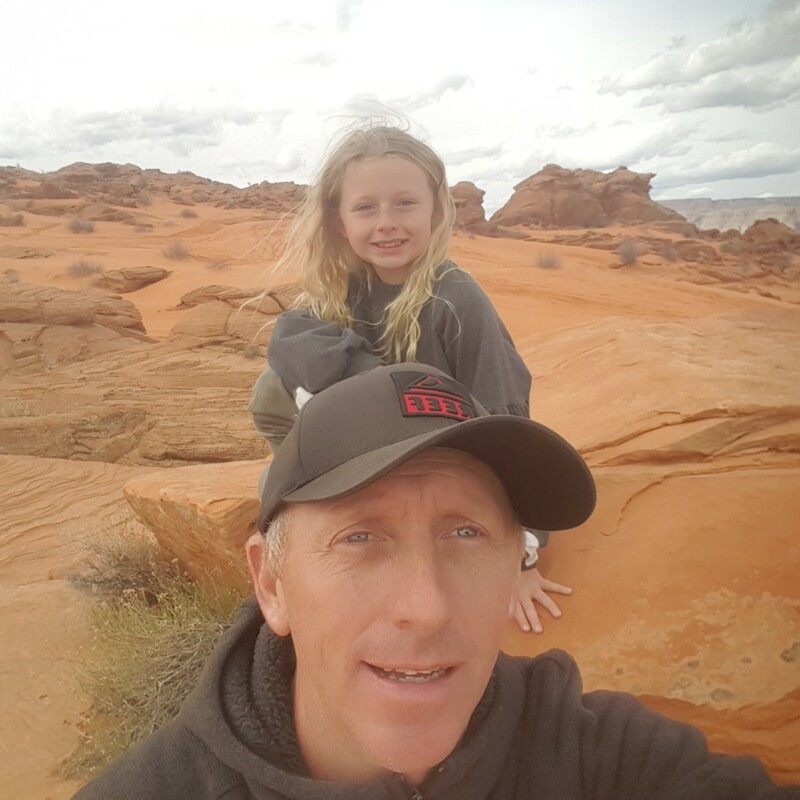 Born in Utah, raised in California, Dan is the Manager of Southern Utah Adventure Center (SUAC), having worked at SUAC since 2015 he knows a lot of the trails around and is a great resource for knowledge on the area. Dan realized adventure was his calling as a kid, going camping, fishing, and taking random dirt roads to see where they go with his family. His drive for adventure led him to join the United State Marine Corps at 18, supporting a Tank unit in Southern California driving humvees, and whatever else he could find with a steering wheel. After going on a couple deployments, and traveling the world he started his next adventure and left the Marines after four years. He’s lived in multiple states but ultimately settled on southern Utah for the views, terrain, and relaxing lifestyle. You can usually find him at the lake, in the sand dunes, or road tripping to California for the weekend. His passions include driving, snowboarding, working out, making jokes, and relaxing by any body of water he can find with a drink in hand. If you looking for a guide with plenty of jokes and some attitude to go with it, Dan’s the man. Born in Greeley, Colorado, Kevin is able to wave his magic wrench and fix any carnage that our customers can inflict to our machines. He’s one of the best techs to come through our shop, and is an amazing asset to SUAC. Kevins off road experience is unmeasurable, he used to race sport quads, dirt bikes, and has even done a few courses in his own car. 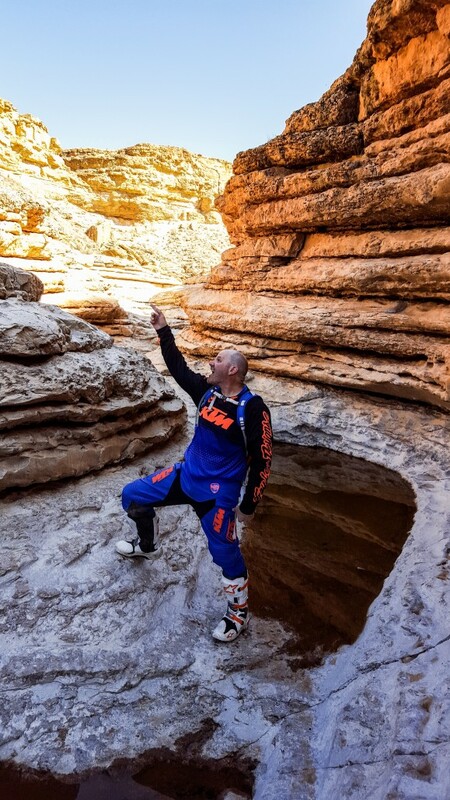 A man of few words, going fast, or crawling his custom Yamaha YXZ up a gnarly rock face is what makes Kevin’s day better. Standing at 5’11” his off road racing days took few inches off him from breaking both legs at the same time…he insist he used to be 6 feet. Although he may not come off as a gentle guy, once you see him with his two Pomeranian dogs name Bonnie and Clyde you will see there is more to him than meets the eye. A tour with Kevin is like riding a fire breathing dragon in a field of wildflowers, you won’t be disappointed. 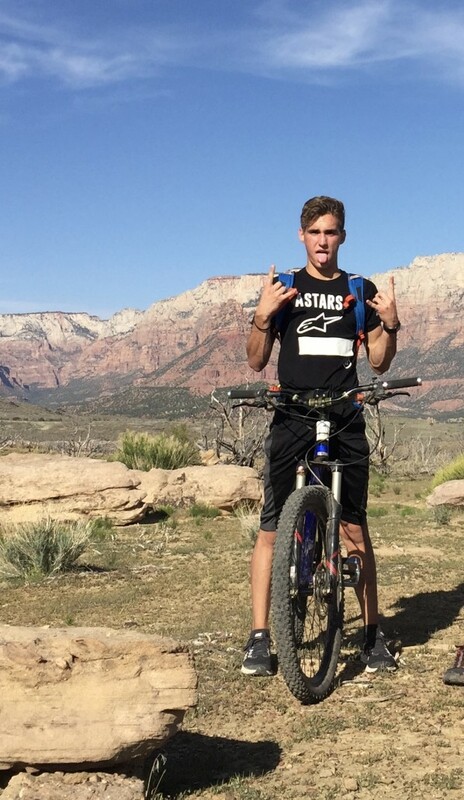 Born in Ogden, Utah, and growing up in Moab, Braden has outdoors in his blood. He’s the nephew of Chad and it shows in his ability to drive anything with wheels and even some things without, as well as fixing just about anything, you can tell he is a Dalton through and through. Being a tour guide isn’t just a job for him, he lives the life. Constantly out riding his dirt bike with his girlfriend or trying to take a RZR up the biggest rock face he can find Braden rules the outdoors. 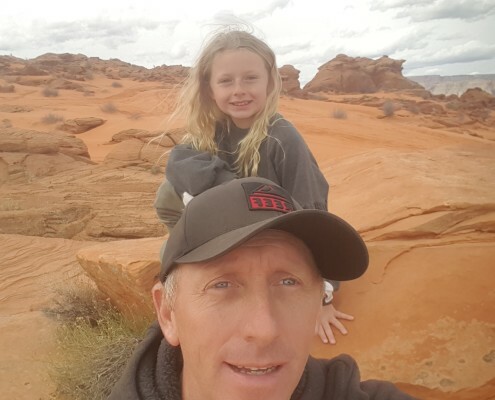 Sharing a house with Dan by Sand Hollow he is close to everything he loves, exploring all the awesome trails out his front door or relaxing by the lake with a cold drink Braden is go to guide for an awesome ride. If you miss him in the outdoors you can usually find him at some music festival or playing video games if the weather is bad. A tour with Braden will be an adventure to remember as you “send it large”. 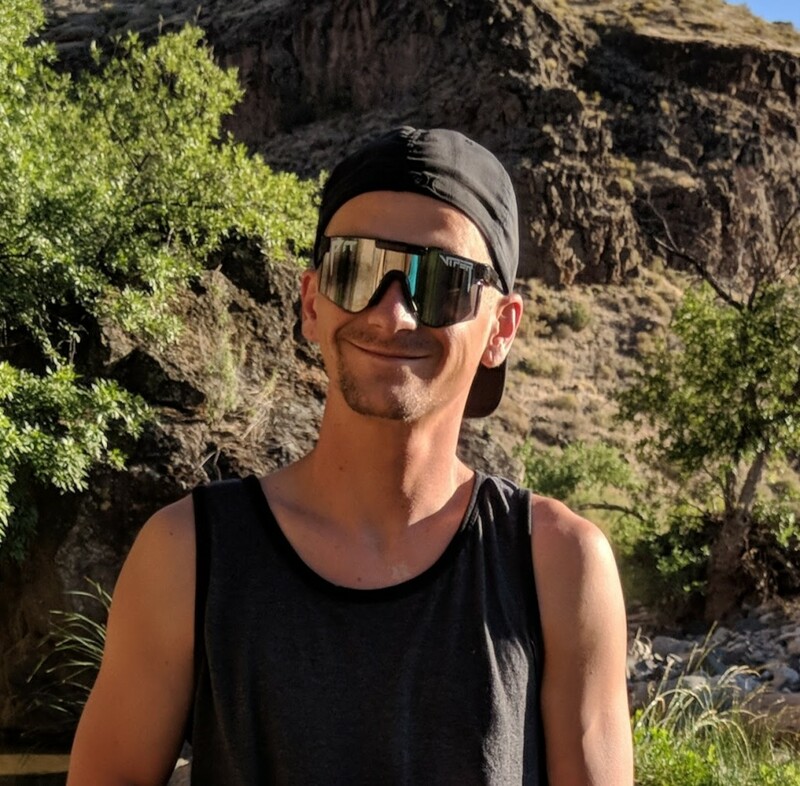 Born in Fairview, Utah, James “Tucker” is one of our newer employees having started in January of 2018 him and his brother Tallen have been great assets to the company gathering tons of great reviews and making sure our customers have the best experience possible. Having brother Tucker and his gas station chicken strips as your guide will not be a disappointment. Born in Salt Lake City, Utah, Tallen is one of the Tucker brothers. Starting few months after his brother they both have the brotherly competition to see who can get the most reviews for the company and themselves. You can usually find him at the lake or in the dunes with his girlfriend and kids. He is constantly quoting some random comedian or movie line, he is definitely one to make you crack a smile. Growing up partying in the outdoors, listening to music, or finding some random adventure. Rocking his signature Pit Viper shades Tallen is one of the guides you will surely remember. Born on January 17th 2003 in Hurricane, Utah, River is the youngest at the shop, but one of the hardest working and our Mountain Biking specialist. He’s been working and playing in this area since birth so he’s full of local knowledge and a great resource for MTB riding. Anything outdoors and you can find River nearby, from snowboarding, climbing, hiking, mountain biking, to good old camping trips. Not only does he enjoy the outdoors but he’s good at working on machines as well as building things. He helped his dad build the new family home from scratch, making the bricks for the outside, framing the walls, and working the skid steer to level the land.